Do you mind if I use your telephone a minute? Is there a phone in your mountain cabin? It’s a terrible line. Can you speak up? Just then the telephone rang. Our office has only two telephones. Please plug in the telephone before trying to make a call. There are no phones that take cards here. There is a telephone booth at the corner. 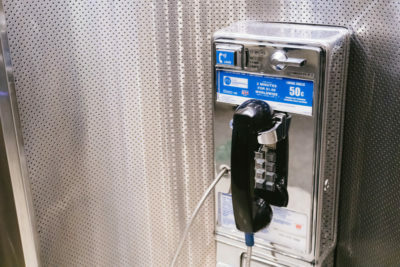 This phone doesn’t work right. We are forbidden to use this telephone.